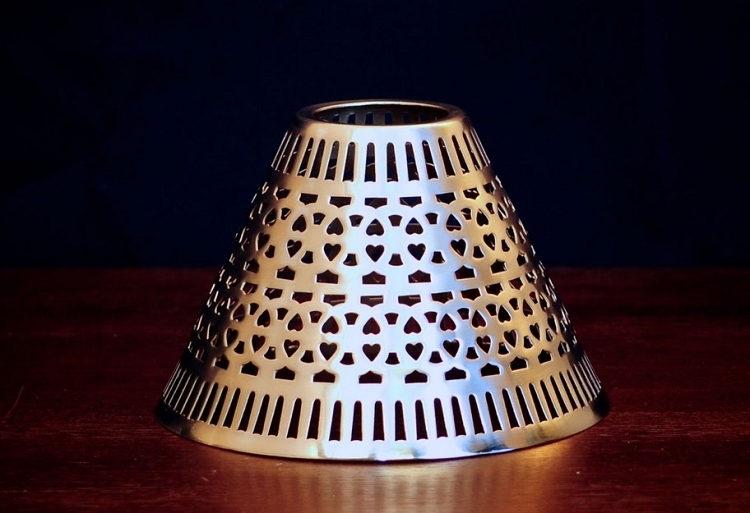 Our Cassidy Candle Shade is for use on a shade carrier. This shade is made of solid brass, with a heavy pewter plating. It weighs 3.8oz and is 3-7/8" tall. The top opening is 1-5/8" and the bottom opening is 5-1/2". The finish is then lacquered to help maintain an effortless shine. This first casting is of the style shade pictured here only. Also available in our Silver and Polished Brass finishes.